The server is designed to be powered by two utility power grids. 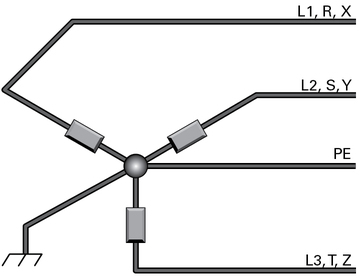 Connect three power cords (AC0, AC1, and AC2) to one power grid, and connect the remaining three power cords to a second power grid (AC3, AC4, and AC5). All six power cords must be connected when operating the server. Note - With this dual-power feed setup, every power cord connected to the server is used to supply power, and the power load is balanced. When power loads are greater than 5% of the power supply capacity, the power loads are balanced at ±10%. Using 3-phase, sine-wave uninterruptible power supplies, you can create two separate power grids from one facility power source. To prevent catastrophic failures, design your input power sources to ensure that adequate power is provided to the server. 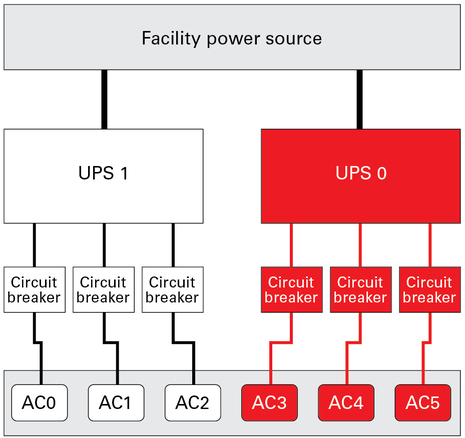 Use dedicated circuit breakers for all power circuits that supply power to the server. Electrical work and installations must comply with applicable local, state, or national electrical codes. Contact your facilities manager or a qualified electrician to determine what type of power is supplied to your building. Caution - To protect your server from electrical fluctuations and interruptions, use a dedicated power distribution system, uninterruptible power supplies, power conditioning equipment, and lightning arresters. 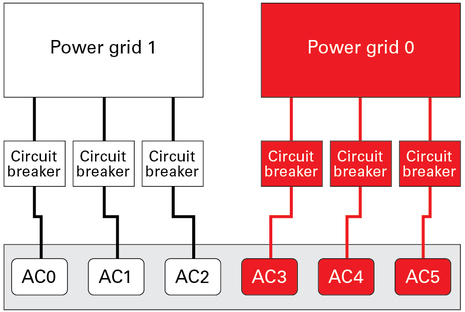 The three-phase AC power source must be a center-point grounded star configuration (type TN-C per IEC 60950). The server operates phase-to-phase, so the neutral line of the 5-wire power cord is not connected. Only the three phase wires and the ground wire connect to the AC power distribution.